Whisky always tastes better in good company, so why not join other Society members - as well as like-minded non-members - in our rolling calendar of exciting whisky events? From traditional whisky tastings and unusual food pairings, let the Society open your mind to a whole new sensory experience. The Cabinet, 80A, Lorong Maarof, Bangsar, 59000 Kuala Lumpur. 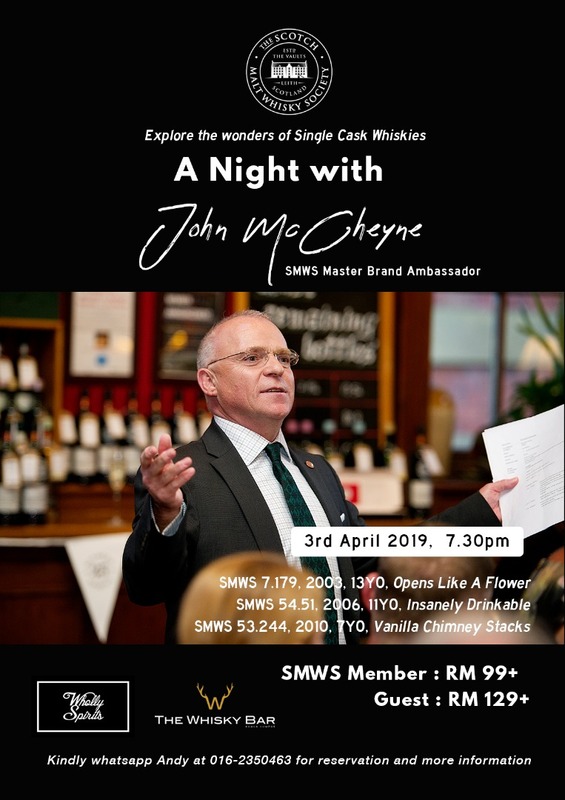 Come join John McCheyne, SMWS Master Brand Ambassador at The Cabinet for a night of exquisite single cask whiskies! Call or Whatsapp Jason at 018-960 2008 to RSVP. 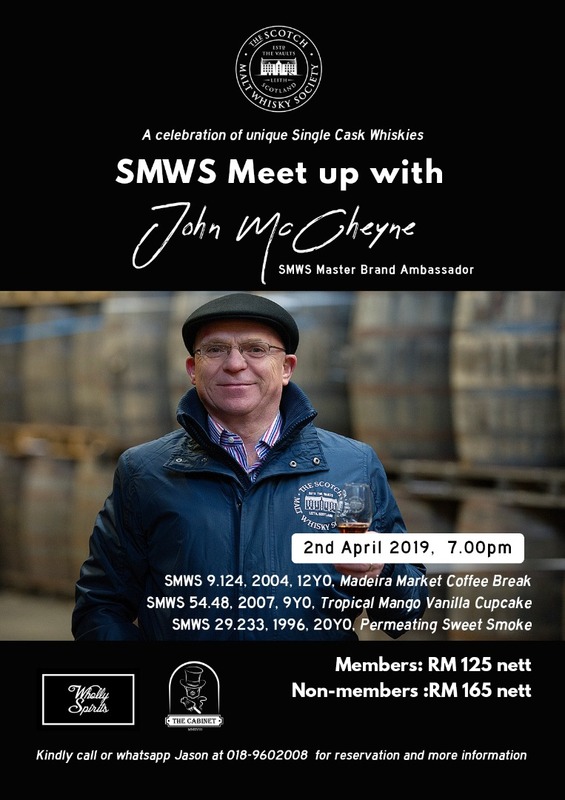 Explore the wonders of single cask whiskies with John McCheyne, SMWS Master Brand Ambassador, for a night of exquisite drams at The Whisky Bar Kuala Lumpur. To RSVP, Whatsapp Andy at 016-2350463. 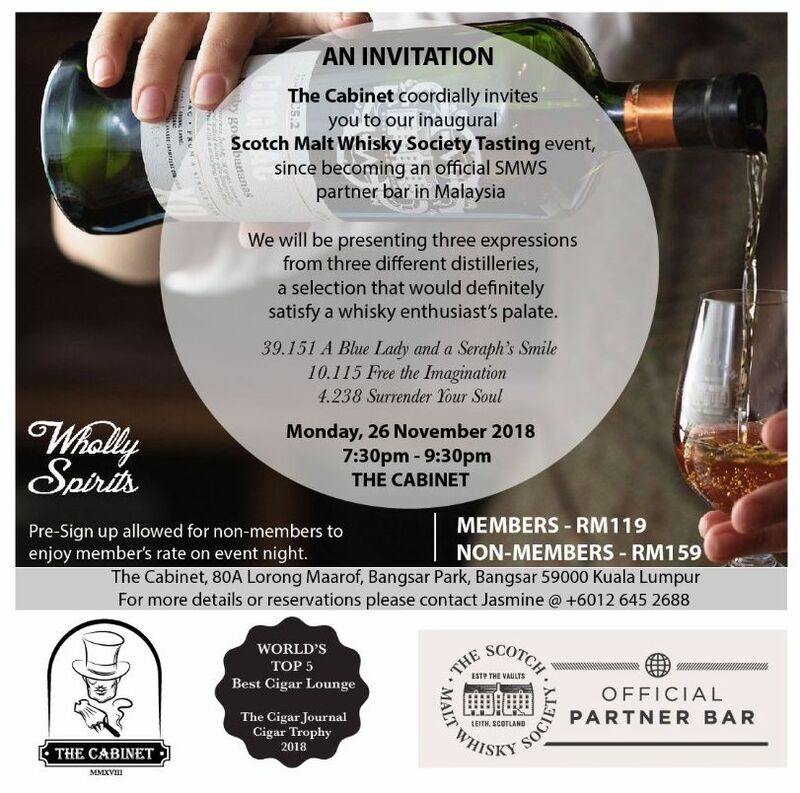 The inaugural SMWS event by our latest SMWS Malaysia Partner Bar, The Cabinet. Calling out SMWS members and cigar lovers! If you like SMWS or a good smoke, now is the chance to have them both together. 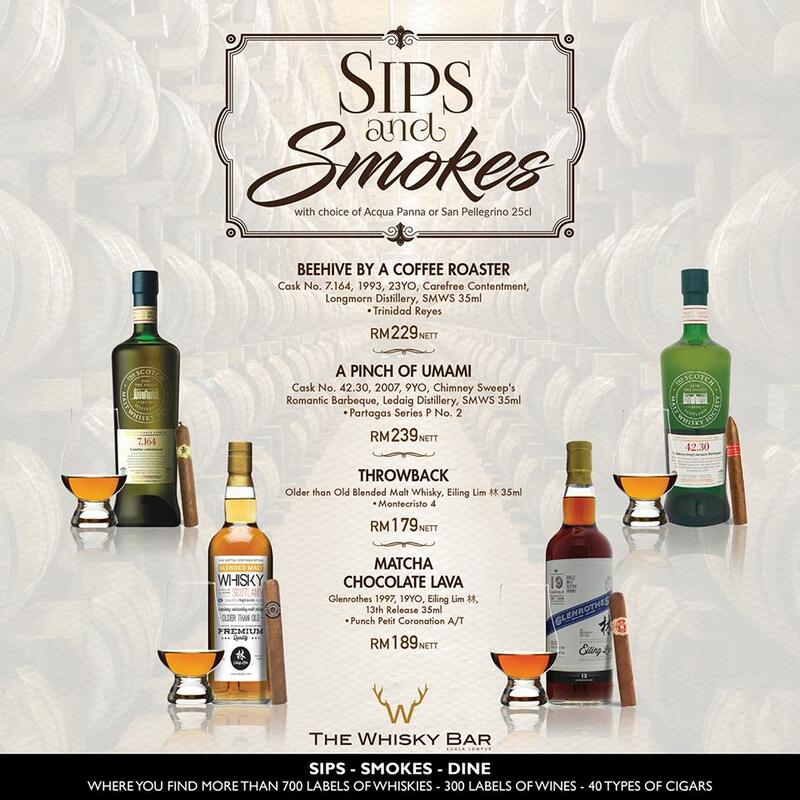 Exclusively curated by The Whisky Bar KL in conjunction with World Whisky Day celebration! Join us on this exciting night where the Scotch Malt Whisky Society Malaysia (SMWS MY) is unveiled officially in Malaysia. Allow us to walk you through the humble origins and history of SMWS and how it has become an international icon for independent whisky bottlings – through one bottle of single cask, cask strength whisky at a time. 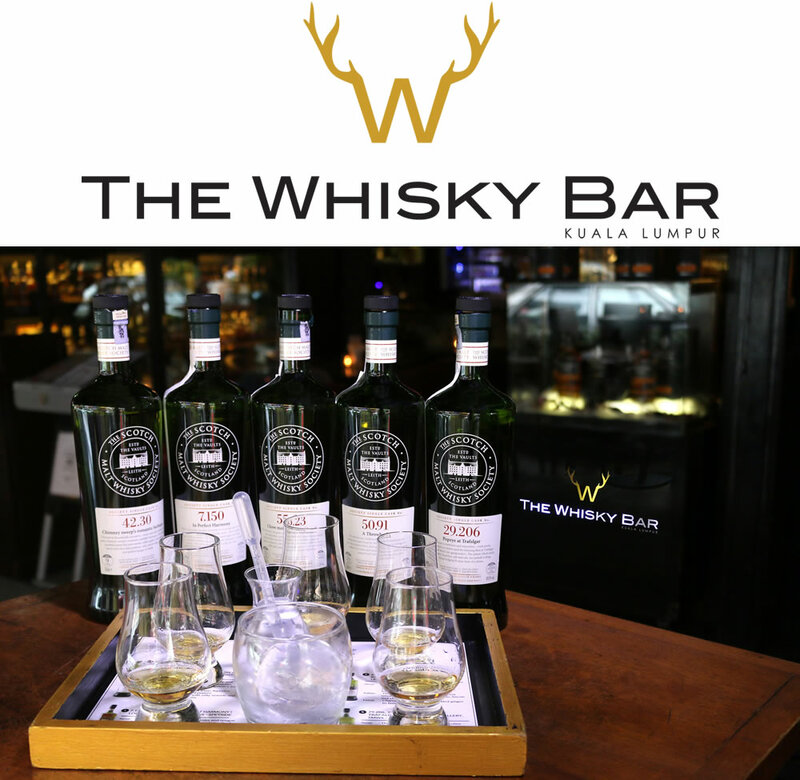 Held at The Whisky Bar KL, our first SMWS partner bar in Malaysia, you will have the chance to experience an enjoyable flight of 3 whiskies of 3 different profiles that will surely give you the answers on how SMWS became The Independent Bottler of The Year – 2017. Venue : The Whisky Bar KL, Changkat Bukit Bintang. Do join us and stand a chance to win either an SMWS Pioneer Membership (RM999) or an SMWS Full Membership (RM436). Please register your interest with us at info@my.smws.com, seats are limited!